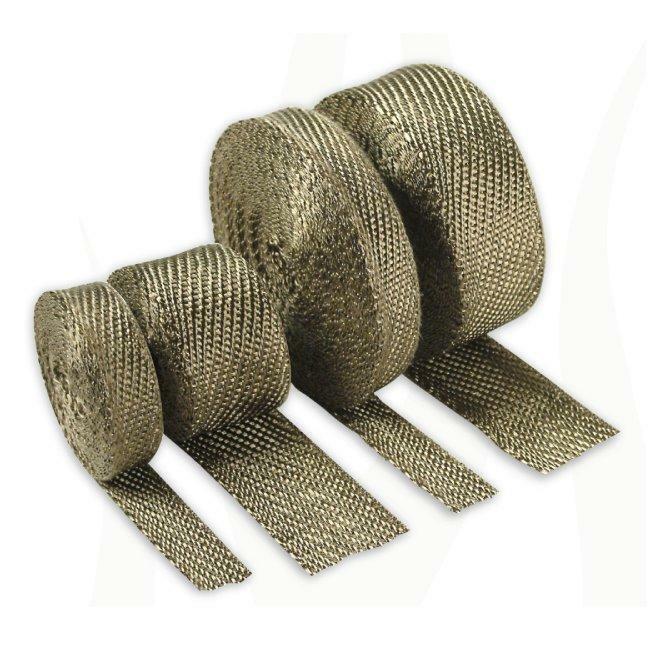 DEI Titanium Exhaust Wrap UNIVERSAL - Pann Auto Performance - San Diego largest aftermarket automotive performance parts - What do you drive? Design Engineering’s new Titanium exhaust wrap with LR Technology is stronger and tougher than fiberglass for improved thermal performance and durability with a high tech carbon fiber look. Made from pulverized lava rock, Titanium wrap can withstand 1800°F of direct heat retaining more heat in header thus reducing underhood radiant heat resulting in cooler air intake temperatures for increased horsepower. Improved resistance to chemical & hot oil spills, abrasions, temperature and vibration break down vs. fiberglass, and Titanium wrap will not shrink and is extremely pliable for an easy wrap without having to wet wrap.